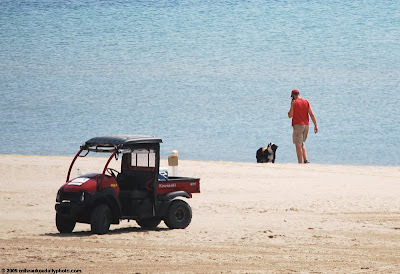 Last summer, the folks (and dogs) from Migratory Bird Management kept tabs on the seagulls at Bradford Beach. The Border Collies would chase the birds off, keeping the area clean (and safe) for visitors. I believe they will be back this year. The beach reopens for business on Friday, May 23rd.